Literally. 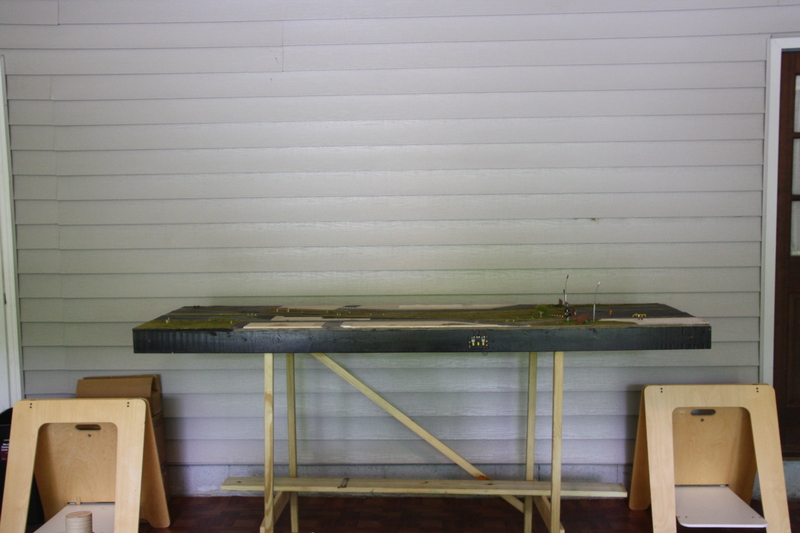 As part of the shadow box project, the grade has been moved from 28 inches off the floor to 43 inches. 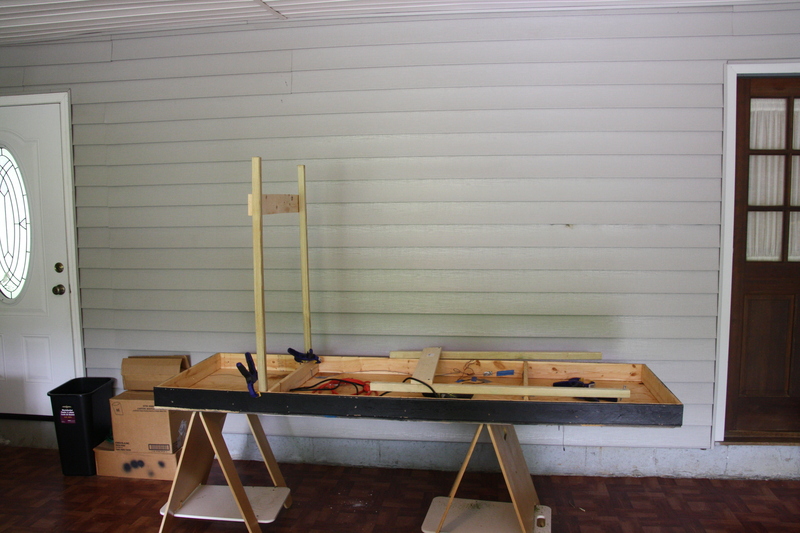 The following photos show the front fascia painted and attached to the lower version, as well as the leg work and the layout on the new higher legs. 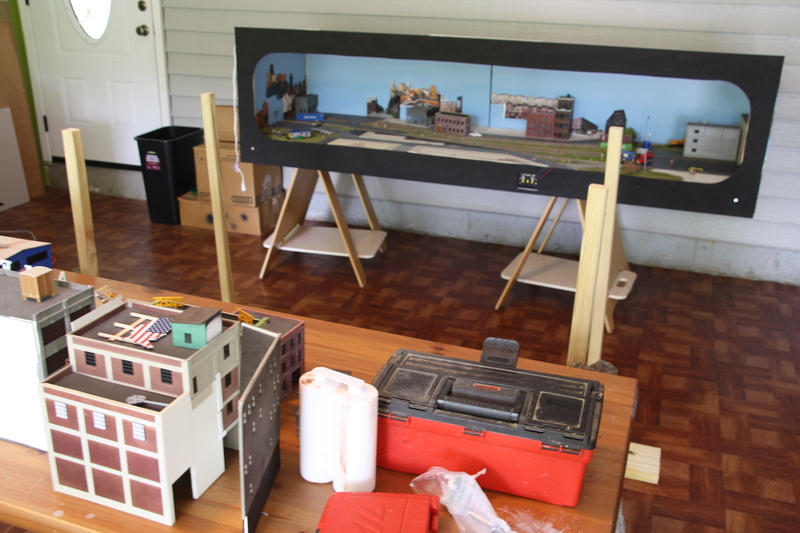 Buildings on workbench, bench work legs, with painted shadow box in the background. 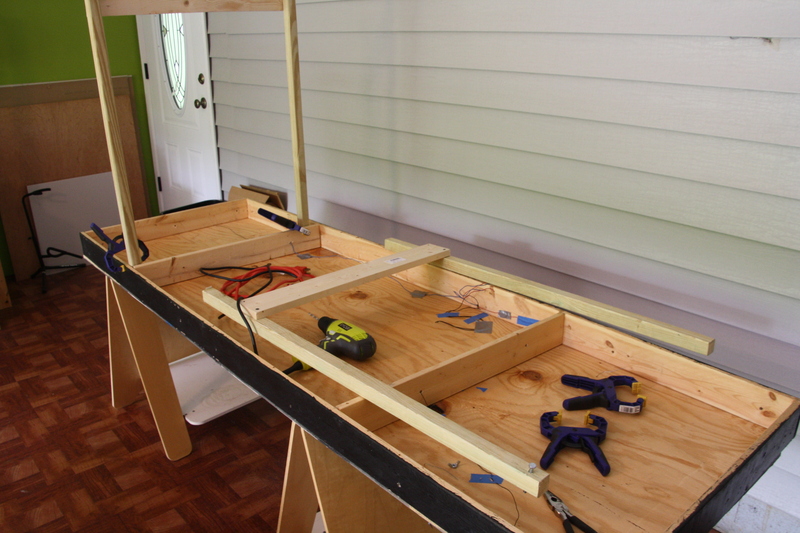 Attaching the legs to the bench work. 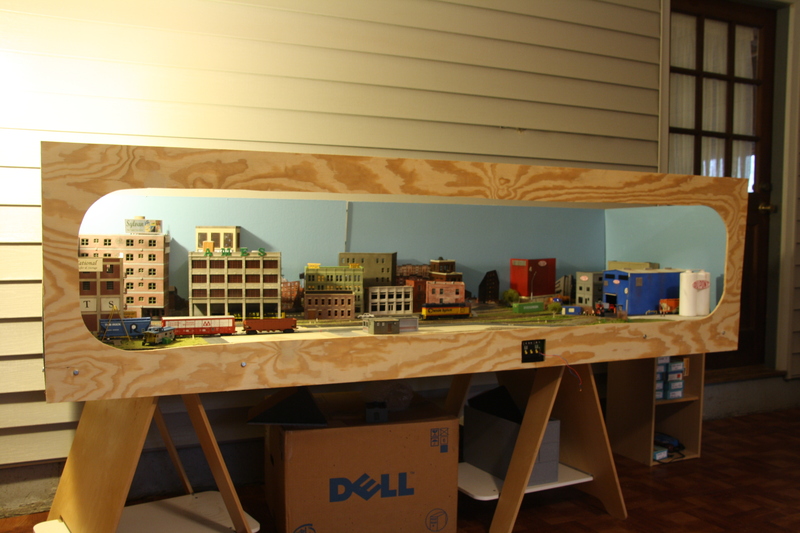 Southside Industrial District model railroad bench work with legs. 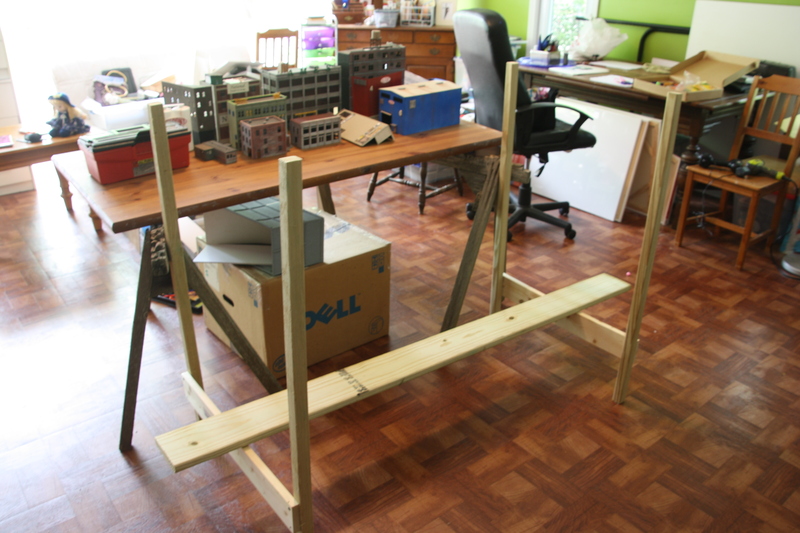 Southside benchwork moved from 28 inch high horses to 43 inch legs.